AWF unveiled our new Education through Sport E-learning platform at the Arab Sports Management Summit. Today AWF unveiled it’s new Education through Sport E-learning platform that allows sport federations and governments to offer e-learning solutions for developing athletes. The platform features revolutionary new technologies and a pioneering user interface with a beautiful design that helps student athletes combine education and sport. 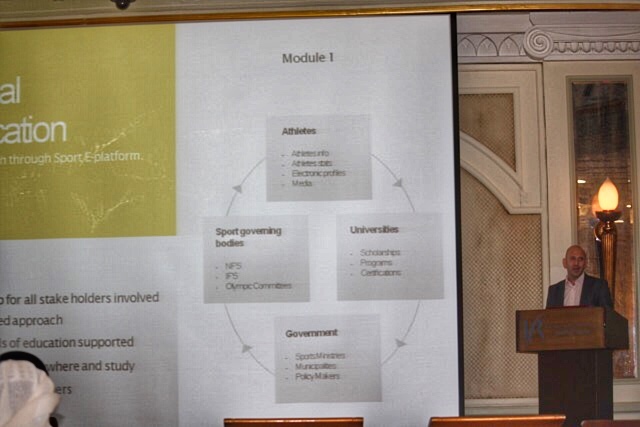 The platform is AWF’s most advanced development in global education in sport since 2012. The platform will enable student athletes to communicate with universities and colleges, review education courses, take online courses that are provided by AWF partnered schools and provided student athletes with ongoing support. 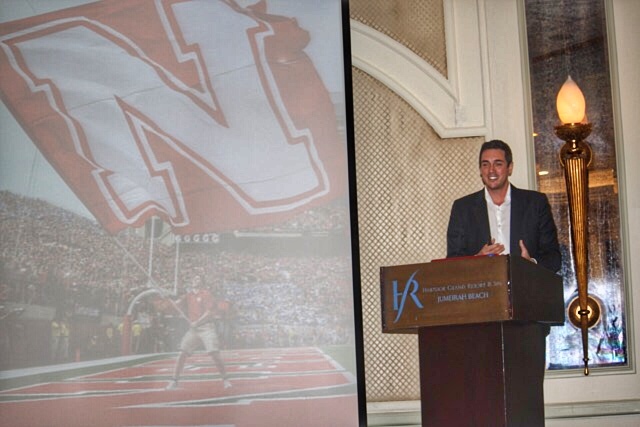 Mr. Vidal went on to present the e-platforms ability to help athletes learn about the key advantages the American system can provide to athletes. Vice President (Andrey Andreev) added ” We are delighted to have the opporuntity today to unveil our new Education through Sport E-platform. It’s taken over a year to develop and combines a 360 approach for student athletes. We have several federations and sport ministries we are working with to launch the platform to over the next months. The Arab Sports Management Summit was hosted in Grand Habtour hotel in Dubai. The summit focused on to optimism and showcase the passion that is driving the countries in the region to work towards attracting major sport events and developing education through sport to the region. This attracted leaders in sports to come together and discuss the opportunities, challenges and the future of sport in the UAE. 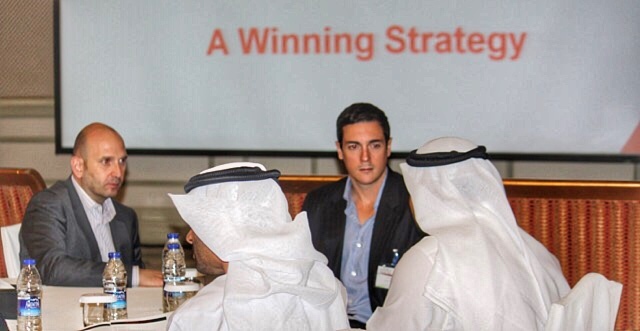 The Arab Sports Management Summit was a premier sports event, deriving it’s focus from the huge and consistently growing sports market in the Middle East and North Africa. With governments focusing on the growth of the sports industry and the passion for sports in the region, the region is keen to implement dual career pathways for athletes. The summit attracted stake holders from over 22 countries in the Middle East and North Africa providing an ideal opportunity for AWF to promote Education through Sport.